Miss Magic, the UKs premier female magician is available for a wide range of events and functions. Contact Kay to discuss the most suitable show and to book Miss Magic for your event, whether it be corporate, weddings, private parties or otherwise. Miss Magic is sure to add the 'Icing on the Cake' at your event. 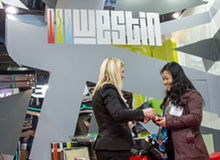 Professional trade show magician Miss Magic guarantees to get more visitors to your stand. 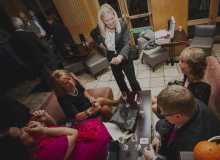 Kay will get YOUR company message across whilst incorporating YOUR products into her cleverly tailored magic tricks. 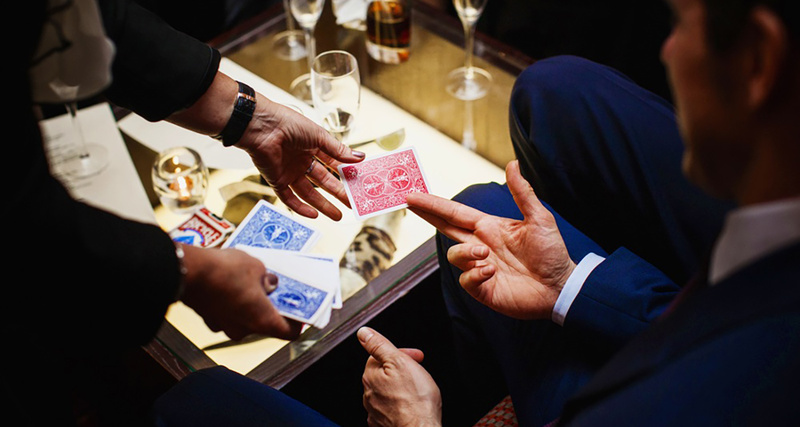 With over 10 years experience in providing magic entertainment for weddings, Wedding Magician; Miss Magic will entertain you and your guests, with her flawless sleight of hand adding that extra magical touch to your special day. 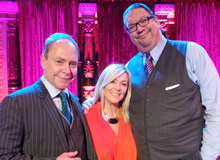 Miss Magic is just back from Los Angeles after filming for the TV Show Wizard Wars with Penne & Teller to be aired later this year. 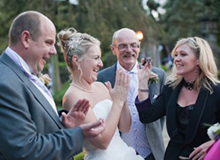 Miss Magic will mix and mingle with your guests amazing them with her incredible magic tricks. Her style of dizzy femininity and stunning sleight of hand will leave your guests laughing in sheer amazement. your company or personal requirements. Miss Magic has extensive experience in the corporate, sports and TV arenas as a female magician and all round entertainer. Kay has qualifications in Media Training, Improvisation and Creativity, and is the ultimate professional package providing the 'Icing on the Cake' at any event.